Chris Pine gets a chance to really show some range with his character. As the movie progresses, we get to see multiple sides of his personality and the factors that drive his motivation. If you think you've got his character completely figured out, a small twist will be thrown your way in just a couple of scenes. Furthermore, Ben Foster (who plays the older brother) assists in bringing the more rugged, and sometimes comical, element to the film. Both of the brothers' chemistry is a strong point in this film as it's displayed to have its own complexities. Right off the bat you can probably get a good sense that this movie is a "Texan movie". The atmosphere of the small town settings and even the type of people all seem to be captured perfectly. If you've never been to Texas, you'll feel as though you at least know about it after watching this film. When the movie did have some moments of action, they were pretty good. While they may not have been the most intense, they still helped to drive the story and keep you intrigued. My personal favorite was Ben Foster's action sequence towards the end of the movie. One issue that I had with this film was the one-sided, and lop-sided banter between Jeff Bridges and his partner played by Gil Birmingham. For me, I think that if there are going to be any type of insults or banter that crosses the politically correct line, then at the very least you've got to make it balanced. You can't just have 10 jokes about one ethnic group, and maybe only 1 counter joke. While I can't speak for them, I would probably feel some kind of a way if I were a Native American watching this film. I should also note, that I'm over Jeff Bridges' incomprehensible southern drawl. At some points, it just becomes too distracting. My other issue is the lack of focus in the attention or direction of the story. 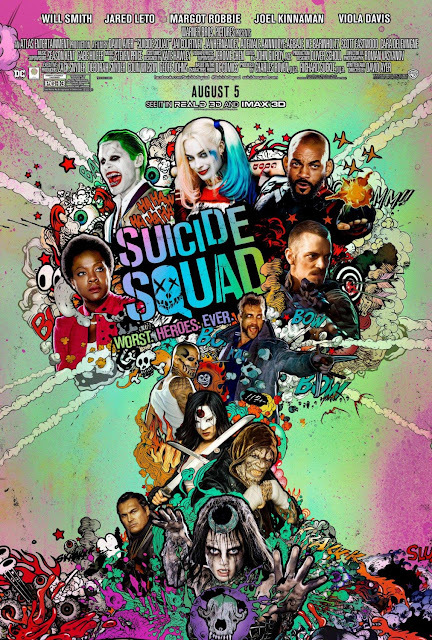 It felt like there was a bit of a duality in terms of where the movie was going. On one hand, the film wants you to care about the financial situation that the brothers are dealing with. On the other hand, we're directed to focus on the various characters' relationships and their development. It's not that you get lost in either, I think that both aspects just kind of fought against the other a bit. 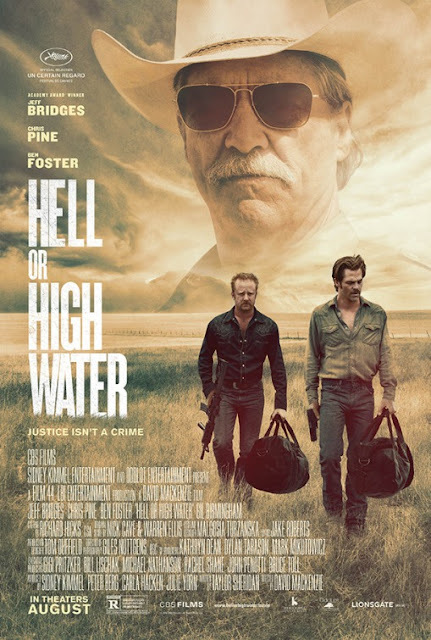 If you didn't know, Hell or High Water is written by the same writer from Sicario (Taylor Sheridan). So you can imagine, if you've seen Sicario, a very similar vibe and pacing. I thought that Hell or High Water was a solid movie, but not a home run. 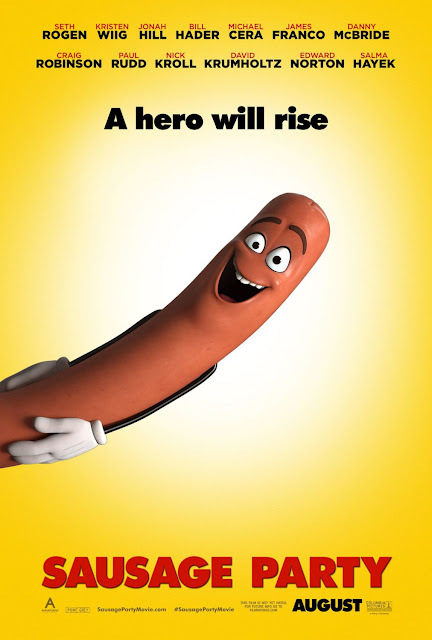 I think it'll most definitely appeal to people who enjoyed movies like the Big Short or Sicario. 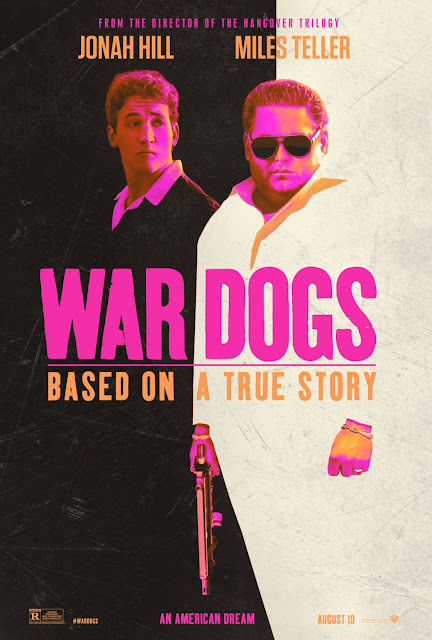 It's well worth the watch, but for me, it's more of a watch at home type of film. However, I don't think there'd be much disappointment if someone were to watch it in the theaters for the matinee price either. Give it a go, if the trailer sparks your interest. Laika Entertainment, the Portland-based and Phil Knight-backed stop-motion animation studio that brought you “Coraline,” “ParaNorman, and “The Boxtrolls” have outdone themselves with their newest effort. 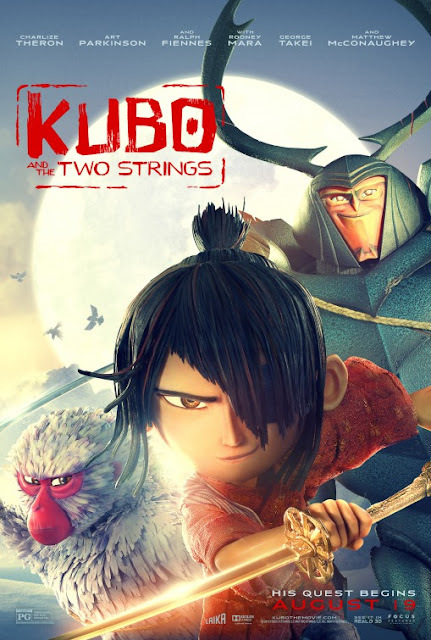 “Kubo and the Two Strings” leaps off the screen with an original foreign folk tale that employs a rich originality and builds a strong base of emotional connection that rivals its Disney/Pixar contemporaries. Everything about its surface is finely crafted and creatively awe-inspiring. True to Laika’s high aptitude for unique stop-motion animation, the final product is exceptionally gorgeous and brimming with aesthetic visual splendor. Tracing inspiration from the Edo period of Japan from the 17th-19th centuries, the Tolkien-level wide-ranging geography balances natural-like realism with flourishes of artful exaggeration. Zooming closer from the vistas and settings, the seemingly infinite layers of minute detail constructing each flesh-clad or folded-paper character’s presence, from their textured appearances to their molded movements, are nothing short of a technical and artistic wonder. Words cannot do them justice. Look behind-the-scenes to see the awesome genius of the Laika style. A bruising limitation was warned and now it rears its ugly head at the end. There’s no way around it other than to say that “Kubo and the Two Strings” has to be called on the carpet for its whitewashed casting. It is very understandable to see how names like Matthew McConaughey, Charlize Theron, Ralph Fiennes, and Rooney Mara sell tickets. All are excellent performers in their roles, especially Theron, but this is an Asian fairy tale of human characters, not ambiguous animals like the “Kung Fu Panda” series, and the only genuine names of diversity are veterans George Takei and Cary-Hiroyuki Tagawa in throwaway bit parts. There is a wealth of more-than-capable young and veteran acting talent from the proud nation of Japan that could have given this film an extra measure of dedicated and respectful cultural loyalty and validity. The mysticism and homespun mythology of “Kubo and the Two Strings” compose a wholly compelling and beautiful narrative fit for children over 8 and their discerning parental chaperones. The team of debuting director and Laika CEO Travis Knight, story developer Marc Haimes, character designer Shannon Tindle, and screenwriter Chris Butler were the cooks in the kitchen that braised this mature and meaty fable. Every demographic of this film’s audience will be able to gravitate to one or more of its many powerful themes. Ranging from mother-son relationship dynamics and protective parental love to sensitive displays of humanity and mortality, each motif carries purposeful symbolism and could fill its own dissertation to celebrate their profoundness. GUEST WRITER: Don Shanahan is a fellow Chicago film critic of "Every Movie Has a Lesson." He is an elementary school teacher who writes his movie reviews with life lessons in mind, from the serious to the farcical. Don is one of the directors of the Chicago Independent Film Critics Association (CIFCC). Please welcome him as a new contributor to Eman's Movie Reviews. Any comparisons to the 1977 original favorite end with the names Pete, Elliot, and the notion of a hairy green dragon. Divergent choices are made by introspective and naturalistic director David Lowery (“Ain’t Them Bodies Saints”) and his debuting fellow screenwriter Toby Halbrooks to create something that, finally and refreshingly, lives up the “re-imagining” and “improvement” labels with common people, deeper family dynamics, and stronger bonds of loyalty. From top to bottom, the rustic tone, look, and feel of the film is incredibly prudent and befitting its folk tale transformation into a living myth. The New Zealand locations captured by Bojan Bazelli’s camera are wide and majestic for scope while still maintaining an intimacy to carve out a nestled home for a little boy and his wild companion. The special effects to create Elliot are clean, modest, and never garish. Lindsey Stirling’s electric violin solos back a genteel musical score from composer Daniel Hart. The performances step right in to match the pastoral tone with a constant moral influence. Unlike the trappings of the more glamorous Disney remakes, “Pete’s Dragon” is free of lame sidekicks, loud comic relief, and other wasteful and mismatched ingredients. It's awfully difficult to find a major flaw. If anything, it' is intense for the very young. The stirring emotions can hit Pixar-level hard, making “Pete’s Dragon” much more suitable for ages 8 and up. Theatre ushers better come with equipped with arms ready for hugs and mops instead of brooms for the puddles of empathetically shed tears that will be waiting for them when the audience departs. “Pete’s Dragon.” It is the most poignant live-action Disney film since 2007’s “Bridge to Terabithia” and the closest any Walt Disney Pictures film has come in a long time to matching the signature emotional “Pixar Punch” of its animation brethren. The film stands as an example Disney would be wise to emulate moving forward with their future “re-imaginings” (take note, “Beauty and the Beast”). 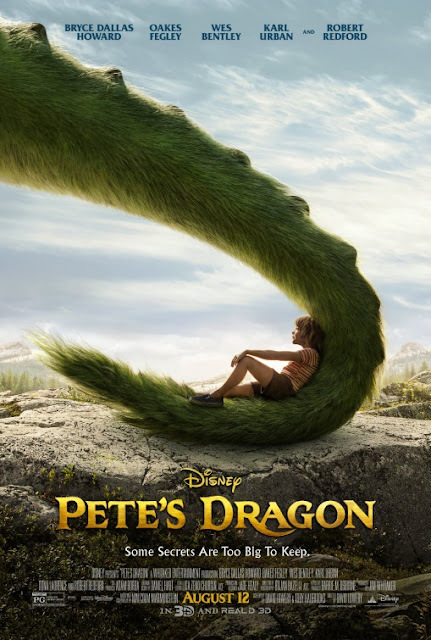 Blooming out of a cradle of artistic and narrative perseverance, it is clear a philosophy of great care and pleasant patience was given to “Pete’s Dragon” by Lowery and company. The film enhances the magical charm audiences remember from the original with newly gained maturity to operate as a loving family drama and touching adventure of friendship. It is a welcome and calming addition of heft painted by that superb idyllic tone. The wonderment never overplays its moments.